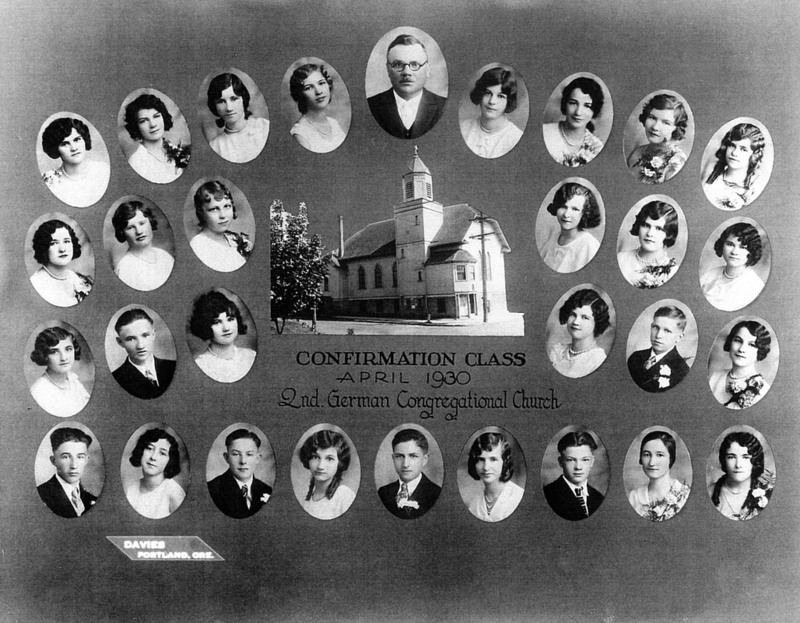 The Second German Congregational Church Confirmation Class of April 13, 1930. Second row from left to right: ?, Emma Schleuning, ?, Lydia Schneider, Elizabeth Kniss, ? Bottom row from left to right: George Koch, Alvina Melcher, John Krieger, Margareta Miller, Wilhelm Sittner, Emma Grasmick, Reinhart Greb, Mary Koch, Henrietta Steinmetz. Photograph courtesy of Joanne Krieger.